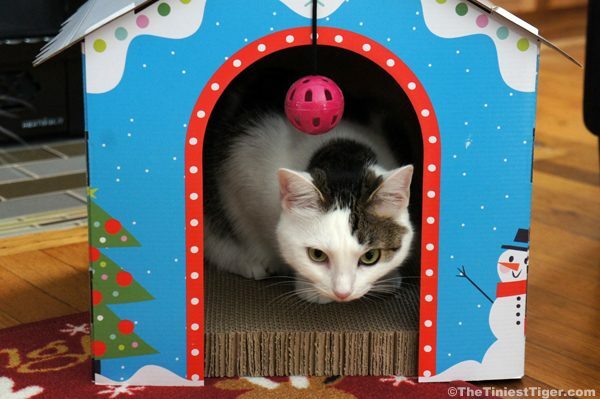 We had to replace Annie’s holiday scratcher house as it was completely worn out. 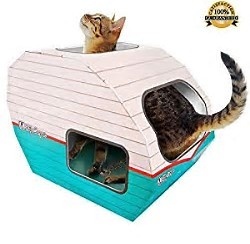 The tabs were too weak to hold her snow cabin together and the scratcher was beginning to fall apart. 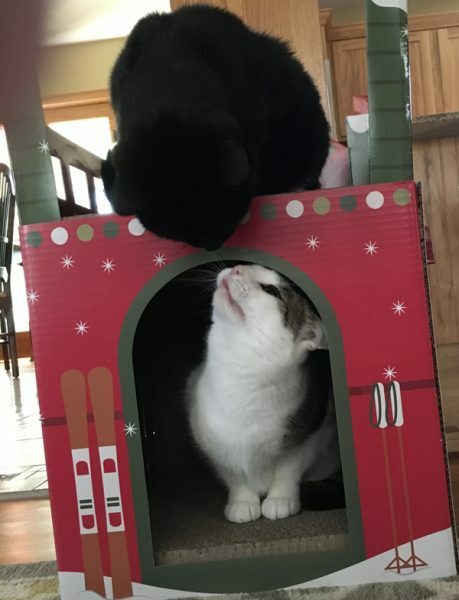 She loves her little house so we replaced it with another one. Annie in her snow cabin. 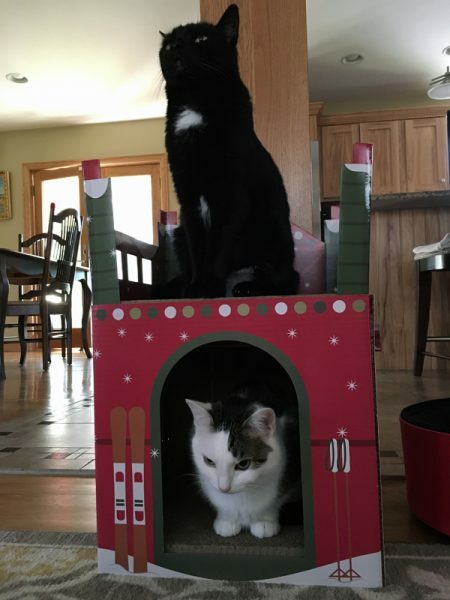 Annie wasn’t sure what to think when Mercy decided the top deck of the ski chalet seemed a perfect perch for him. He wasn’t bothering Annie, but Annie might have been thinking she wasn’t fond of Mercy taking the top spot. We could see Annie plotting an overthrow of the chalet. Annie thought she was going to get her way when Mercy stood and stretched but then he sat back down. Mercy decided to check in on the occupant of the lower deck. If Annie asked him to vacate, Mercy had other ideas. 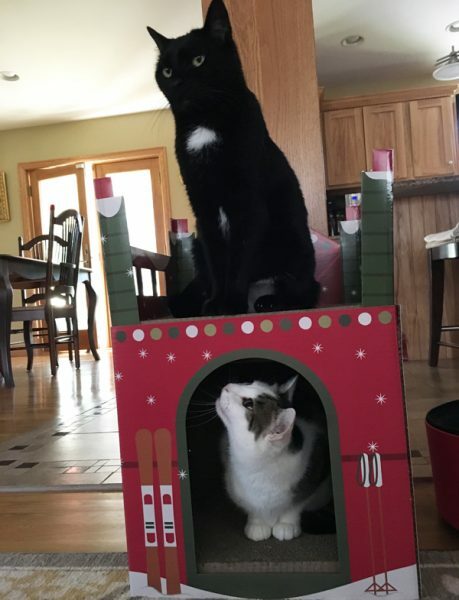 Mercy declared himself King of the Ski Chalet leaving Annie plotting a new takeover plan. https://uploads.disquscdn.com/images/fdd782a039d7eac49e3bc64cf03d24e43ecd29bd2f39dc1cd97280e268e44bf6.jpg We bought Willow a retro camper scratcher house. They are all so cute! So cute!! May I ask where you bought it!? I also would love to know where you got these cute houses!!? Please!!?? Hi! 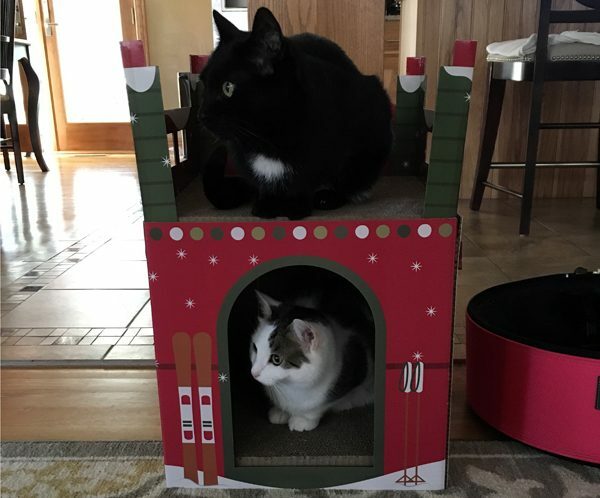 We got these two houses at Target! 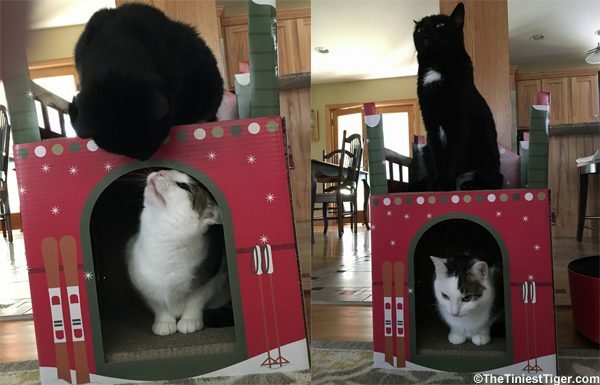 Where did you get the awesome scratchy chalet? I must have missed that post! 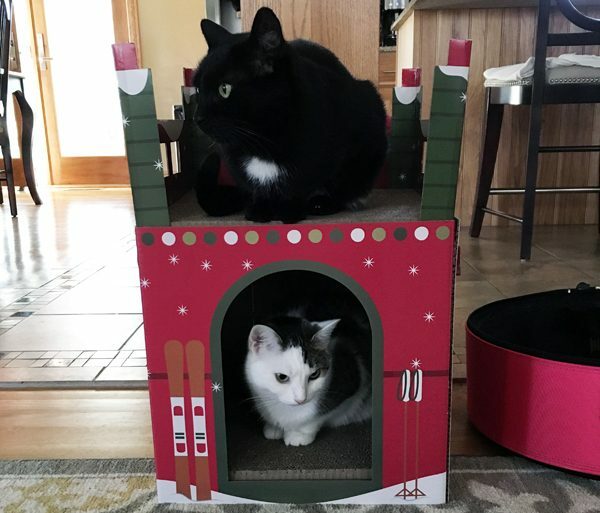 Hi, we found these fun ski chalet scratcher at Target! Great! Thanks, I’ll go look! Annie; you and I both know different; but; tis the season to be nice. so let Mercy THINK he’s king…but just until 11:59 pm on the 25th ~~~ dai$y ?? Aww I love King Mercy! Awww Thanks. He is a good boy. That’s really cute. We got the log cabin for Christmas this year.